These 8-ply maple shell models inherit the basic design of the GS Series, offering outstanding attack and versatility for a wide range of performance situations. 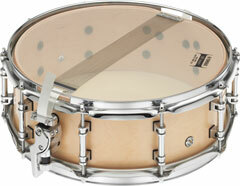 The balance between shell and hoop has been improved in the 13-inch version, resulting in a brighter, more lively sound. A revised shell design achieves beautifully warm tone that also has outstanding snap and clarity. 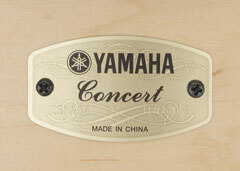 The thicker 8-ply maple shell facilitates even finer detail and expanded expressive capability. 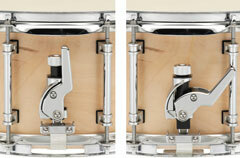 Compact and easy to operate, the Q Type Strainer lets you tighten or release your snares quickly and quietly. 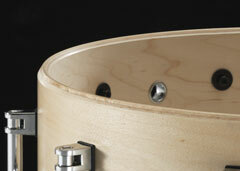 Coated straight cable snares are ideally matched to the drum’s head for superior sound. 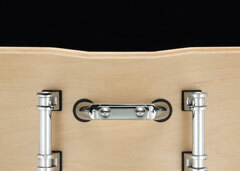 An extra deep snare bed results in improved contact between the snares and the bottom head for notably enhanced snare response.